Click: Ten Truths For Building Extraordinary Relationships, by George C. Fraser, 2007: find ten simple principles that will dispel your dread of networking forever and reveal a proven path to success and happiness. This book definitely gave me insight to the art of networking. Do You: 12 Laws To Access The Power In You To Achieve Happiness And Success, by Russell Simmons, 2008: in this book Russell discussed the 12 principles that cover entrepreneurism to living a holistic life. I was so inspired by his success and how he did not sacrifice his integrity for money. This book is a must read for someone who is just starting out in business. The 21 Irrefutable Laws of Leadership: Follow Them and People Will Follow You, by John C. Maxwell, 2007: in this book you will learn the essentials for being a great leader. John really focuses on leaders as influencers and how to translate that into followers for your business or brand. It is definitely one of my favorite books. 10 Steps to Successful Social Networking for Business, by Darin Hartley, 2010: If you are looking to tap into the social media world for your business this is the book for you. The author comes from a training background and makes it simple to learn how to harness social media to grow your business. The 7 Habits of Highly Effective People: Personal Lessons in Powerful Change, by Stephen R. Covey, 1990: This is a book that I recommend to everyone and I have used it in my teaching and training career. It changes the way you perceive act and react to things and people. It has really taught me the value the lesson in mind over matter. 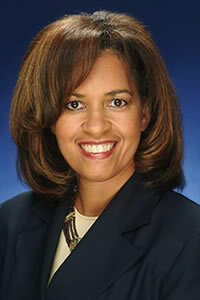 Bio - Sheryl Adkins-Green joined cosmetics giant Mary Kay Inc. in 2009 as the Global Vice President of Brand Development. In this role, Sheryl is responsible for leading the company's global product strategy including product positioning, packaging, product education and pricing. She currently directs the product and packaging innovation for the Mary Kay® skin care, color cosmetics, body care and fragrance portfolios of products, which are currently sold in more than 35 global markets. Prior to joining Mary Kay, Sheryl was the Vice President and General Manager of the Pro-Line International, a Division of Alberto-Culver. Her responsibilities encompassed leading a team of marketing and sales professionals and overseeing the headquarters operation that included manufacturing and warehouse and distribution facilities. .
After earning her MBA from the Harvard Business School, Sheryl began her career with Kraft Foods. Her career path includes serving as Regional President of Citibank, and leading the Marketing function of the Snapple Beverage Group. Sheryl resides in Dallas, Texas with her husband and two sons. When she is able to find time between tennis lessons and soccer practice and her community service commitments, she enjoys travel and the performing arts. Recognition - In 2010, Black Enterprise magazine named Sheryl as one of the 75 most powerful women in business. The Network Journal named Sheryl as one of The 25 Influential Black Women in Business 2008 in recognition of her track record of business results and community service.